With sweeping river views, waterfront towns steeped in maritime history, and extraordinary birding, paddling and fishing spots, this relaxing drive offers plenty of opportunities to stop and explore. 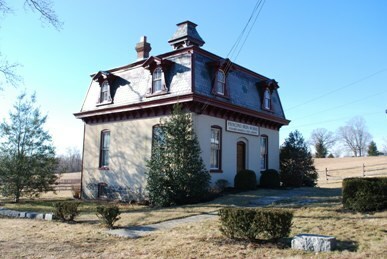 Discover the canal era at The Susquehanna Museum at the Lockhouse in Havre de Grace. 33 miles from Havre de Grace to Perryville on a mix of local and state roads. This route is part of the Great Chesapeake Bay Loop. The mighty Susquehanna is the largest non-navigable river in the United States, more than 400 miles long and one mile wide in places. On its banks are prospects for all sorts of outdoor activities, as well as antiquing, touring historic sites, outlet shopping and even playing slot machines. This byway is part of the Great Chesapeake Bay Loop where you can have a Chesapeake adventure. Formerly a busy Colonial port, Havre de Grace is now famed for its antiques shops, fishing, boating and waterfront dining. 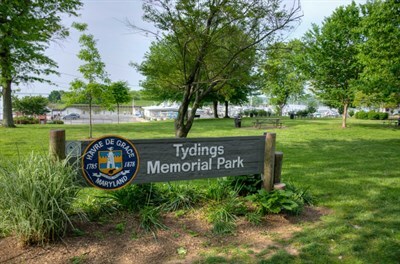 The best place to relax and enjoy the Bay in this “Harbor of Grace” is Tydings Park, home to a playground, fishing pier, boat ramp and municipal marina. The park also serves as the site of art shows, a seafood festival and summer concerts. A half-mile-long waterfront promenade leads to the fully restored Concord Point Lighthouse. Havre de Grace museums explore rich maritime traditions and display some of the world’s finest examples of hand-carved waterfowl decoys. As you head out of town, the Steppingstone Museum’s stone farmhouse and adjacent display barn offer insights into a proud agricultural heritage. You’re also near the remains of the Principio Iron Works, targeted by the British during the War of 1812. Amid the heavy forest cover and massive rock outcrops of Susquehanna State Park, camping, mountain biking and fishing are popular pursuits. In addition, the park features historical sites such as a working grist mill, 14-room stone mansion and former toll house. Enjoy a sidetrack to Darlington on Rt. 1 to admire the nature and power that surrounds the 80-year-old Conowingo Dam. Hawks, great blue herons and bald eagles are often spied over Conowingo Reservoir, which has been praised for its bass fishing and birding. The Concord Point Lighthouse in Havre de Grace is open on weekends from April through October and is a favorite spot for weddings. 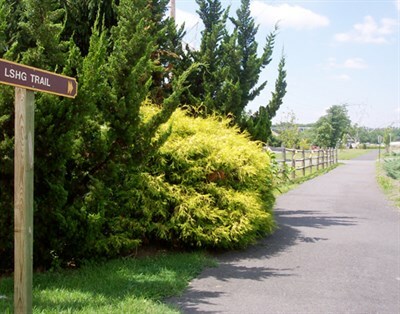 Allow yourself time to walk or bike throughout historic towns such as Havre de Grace and Port Deposit, as well as Susquehanna State Park. Walk along the Susquehanna waterfront promenade near the Concord Point Lighthouse for spectacular views of the river and Upper Chesapeake Bay. 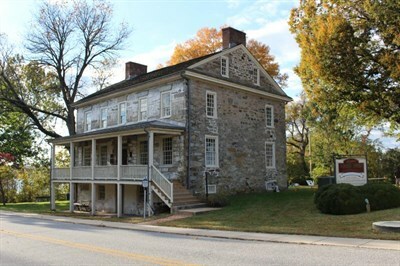 On the east side of the river, Port Deposit features many residences that date to the early 1800s. Accessible from Main Street, a brick-and-stone, 75-step staircase leads visitors above the town and allows a spectacular view of four bridges that cross the Susquehanna River. 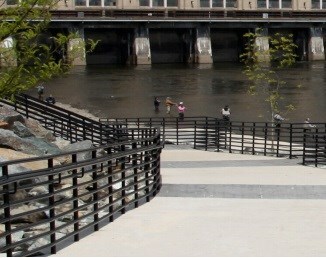 A riverwalk at Tome’s Landing also features terrific waterfront vistas and casual eateries with wonderful seafood fare. In Perryville, a tavern building dates to the Revolutionary War and was visited by both George Washington and the Marquis de Lafayette. Nearby you’ll find the remains of the Principio Iron Works, targeted by the British during the War of 1812. Along with the historic charm of the town, Perryville also has 1,500 Vegas-style slot machines at the Hollywood Casino, which is easily accessible from I-95. West of Havre de Grace, Aberdeen features Ripken Stadium, home of the IronBirds, a minor-league baseball team. The Lower Susquehanna Heritage Greenways Trail parallels the river and travels through riparian forest, connecting the Conowingo Dam to Deer Creek at Stafford Road in Susquehanna State Park. When the Conowingo Dam was completed in 1928, it was second only to Niagara Falls for hydroelectric power output in the United States. Fisherman's Park near the Conowingo Dam is a great place to view Bald Eagles and Great Blue Herons nesting along the river.